This unique itinerary has a little bit of everything and is sure to satisfy anyone in your group. If you have never experienced the exhilaration of shooting, you will find the excitement of breaking clay targets at Lehigh Valley Sporting Clays to be quite contagious. Or perhaps try your hand at target shooting at The Heritage Guild. If the challenge of the range isn’t a fit, bring the entire group for a fun-filled day of whitewater rafting on the Lehigh River at Pocono Whitewater. You&apos;ll spend three hours splashing and paddling rapids, relaxing in the sun, and enjoying the passing scenery. Speaking of fabulous scenery, your group will experience awe-inspiring views, fresh air, and hawks up close and personal at Hawk Mountain. Feeling the need for speed? Your group is sure to find it at Lehigh Valley Grand Prix. 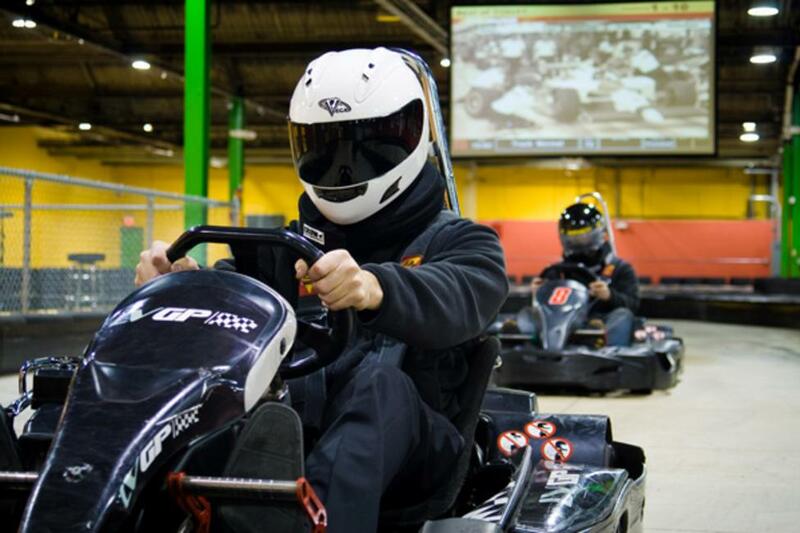 This indoor karting facility features nine-horsepower “super karts” that are among the fastest indoor racing karts in the entire nation, reaching speeds up to 45 mph. If your group prefers a more easygoing experience, then Revolutions at Saucon Valley has you covered. Featuring everything from video games and bowling to billiards, food, and drinks, Revolutions is sure to satisfy anyone in your group. For more information on the venues featured in this itinerary, please visit LehighValleyGroups.com.